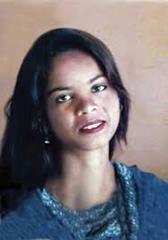 SANTA ANA, CA (ANS – Nov. 18, 2018) – Asia Bibi continues to be the subject of unanswered questions. Bibi, recently acquitted of blasphemy under Pakistan’s strict blasphemy laws, remains the topic of rumors and speculation about her whereabouts and wellbeing. Since the acquittal of blasphemy charges and a death sentence for Bibi, media reports have distributed much—and often conflicting—information regarding her whereabouts and the complications surrounding her and her family’s plight to leave Pakistan. Open Doors, which ministers to Persecuted Christians around the world, answered some of the most frequently asked questions in a Media Update monitored by ASSIST News Service (www.assistnews.net) . The TLP was founded by Islamic preacher Khadim Hussein Rizvi after the hanging of Mumtaz Qadri, a bodyguard who became a hero for many extremist Muslims after he killed the governor he was supposed to protect. Governor Salmeen Taseer was one of the few men in power who stood up to defend Asia Bibi. ** Pray for the safety of Asia, her family and the people around her. Pray that she and her family can leave the country soon. ** Pray that if a review takes place, the verdict will not be overturned. ** Pray for Asia’s husband, Ashiq Masih, and five children, that they will be safe and will soon be reunited as a family again. Pray that they will continue to feel God’s arms of protection around them. ** Pray for the judges, for their safety as well. ** Pray that protests will not erupt again and that God will give the government wisdom and courage in dealing with the TLP and other extremists. ** Pray especially for Pakistani Christians, who remain on high alert and fear that daily discrimination will intensify for them in their workplaces, communities and schools their children attend. ** Pray that Asia’s persecutors will encounter the one true God and like Saul, the scales will fall from their eyes to see the Jesus they persecute.